This form is sent to our admin who will add your information to our system within 2-4 business days. Thanks for signing up! 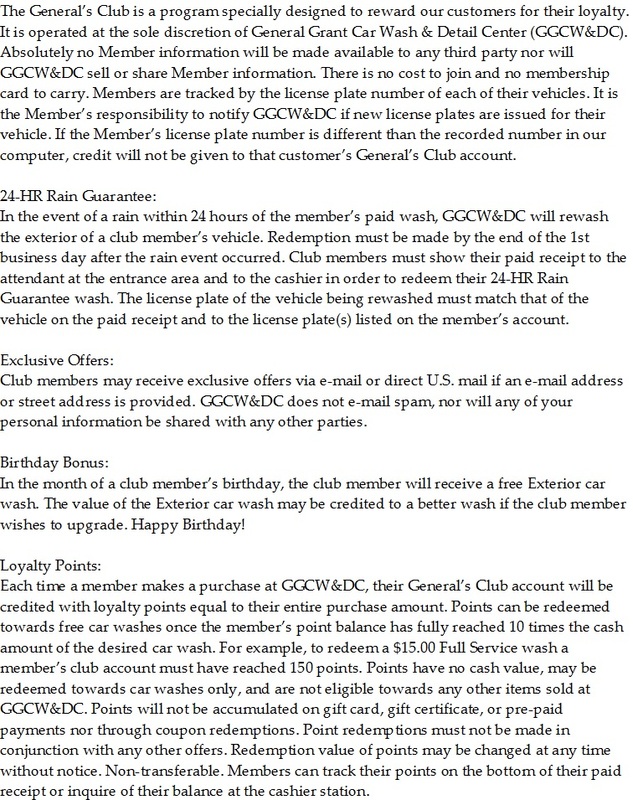 All information is for General Grant Car Wash & Detail Center use only and will never be sold.